Djoser's pyramid (plan) is the first in Egypt, and the earliest stone building of comparable size in the world. Its first layer is a mastaba (slab-covered pit tomb). The architect Imhotep, a genius who was also royal physician and vizier of Egypt, added five more layers to create a six-step pyramid. The Egyptians were so impressed by his achievements, that they deified Imhotep after his death. Symbolically, the pyramid's steps represent a staircase by which Pharaoh's spirit could mount to the starry heaven. 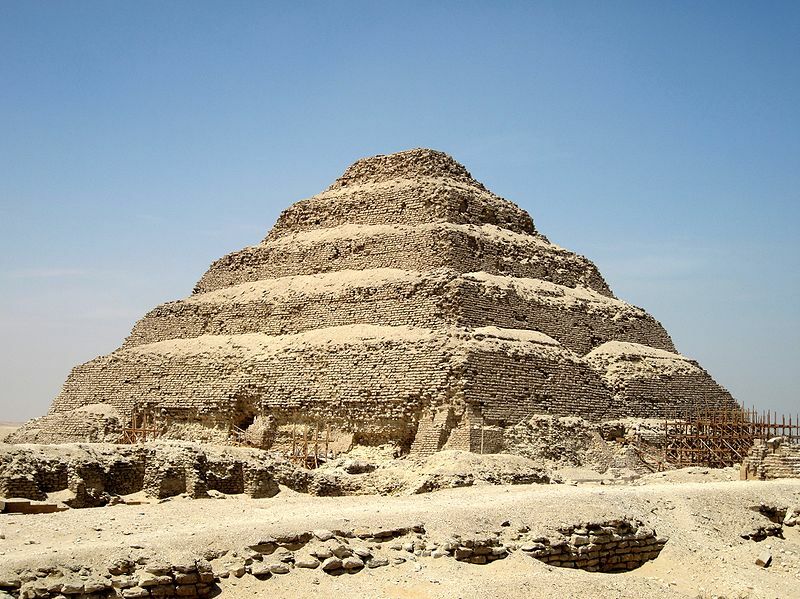 Saqqara lies ten or so miles south of Giza, near the ancient capital of Memphis.